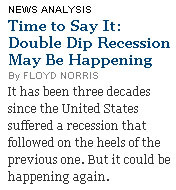 2001-2008: Republicans run economy into ditch. 2009-2011: Republicans respond by doing everything possible to prevent him from fixing things. 2012: Republicans use lousy economy as campaign cudgel against Obama. 2012: Republican candidate wins presidency (maybe). Sure, sure, Obama deserves some blame for not being aggressive enough etc. etc. I get it. But that’s a nit within the big picture. The basic story is the one above. It’s still kind of hard to believe.